Last night, a headset was murdered in Missouri. It was sitting beside me on the couch as I decided to let sound fill the room instead of just my ears. It turned out to be a fatal mistake. For, lo and behold a dog, a rottweiler was on the prowl — its goal was affection and it had only to remove one thing from its path. In a fit of needing the pets, the beast jumped upon the couch, on the same seat the headset was nestled, and destroyed the device; an audible snap echoed in my ears as a tongue started to lick my face as if to taste of my rage. I've tried to fix them, but there is not enough excess wire in the headset to reattach them as to get them back into full working condition. My friend has offered to pay me back for the headset, which I graciously accepted and now I call upon you, fellow TAYers. 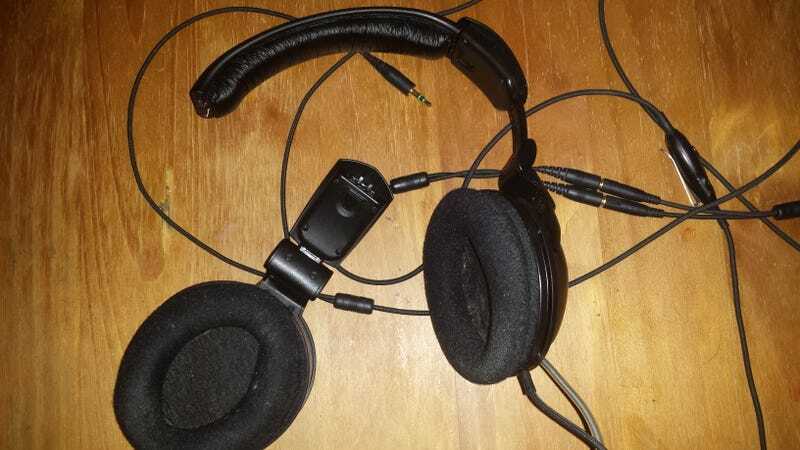 I need a replacement pair, yet do not know what to choose from — this TactX headset being the first true pair I ever owned. So, feed me your opinions. What should I look into getting? I have a hundred dollars to work with, on this. Let's dominate!